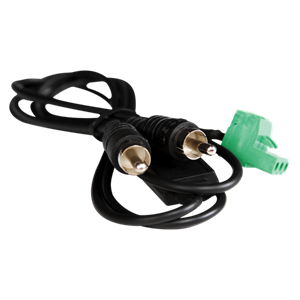 This item has been replaced by the AA60G. 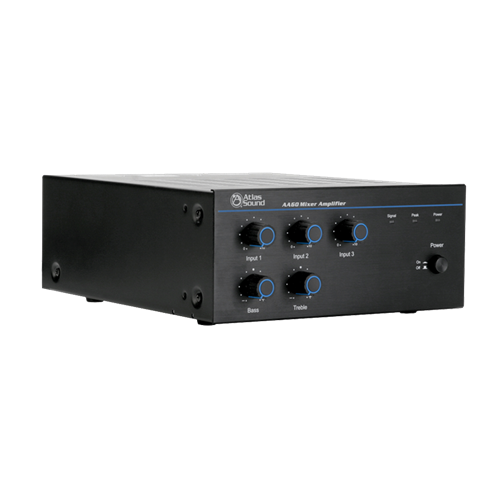 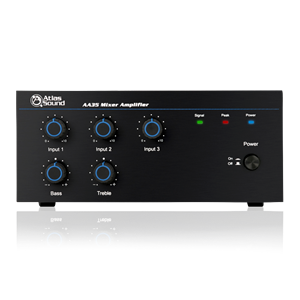 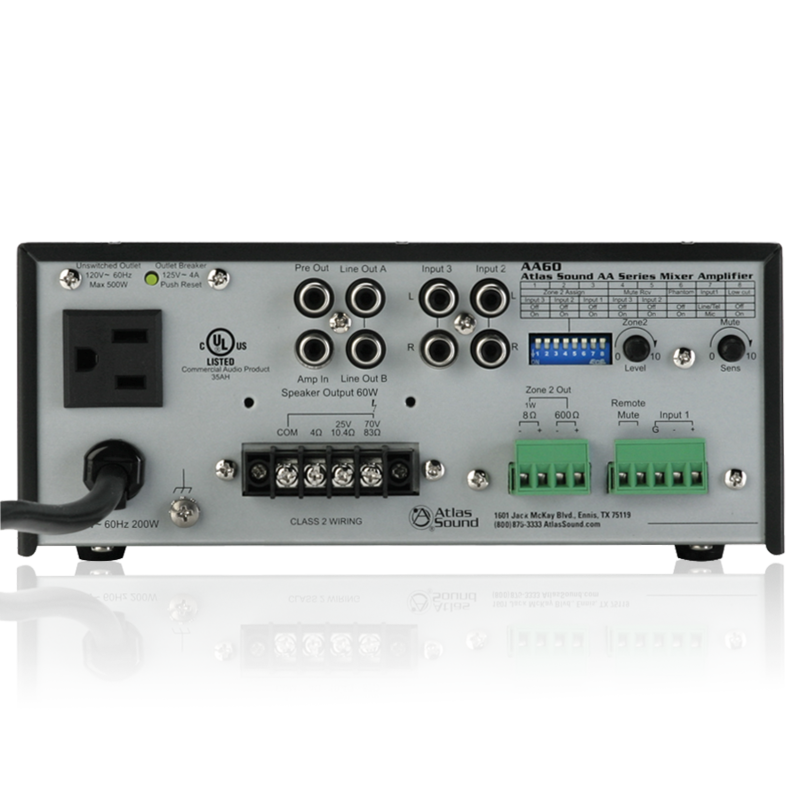 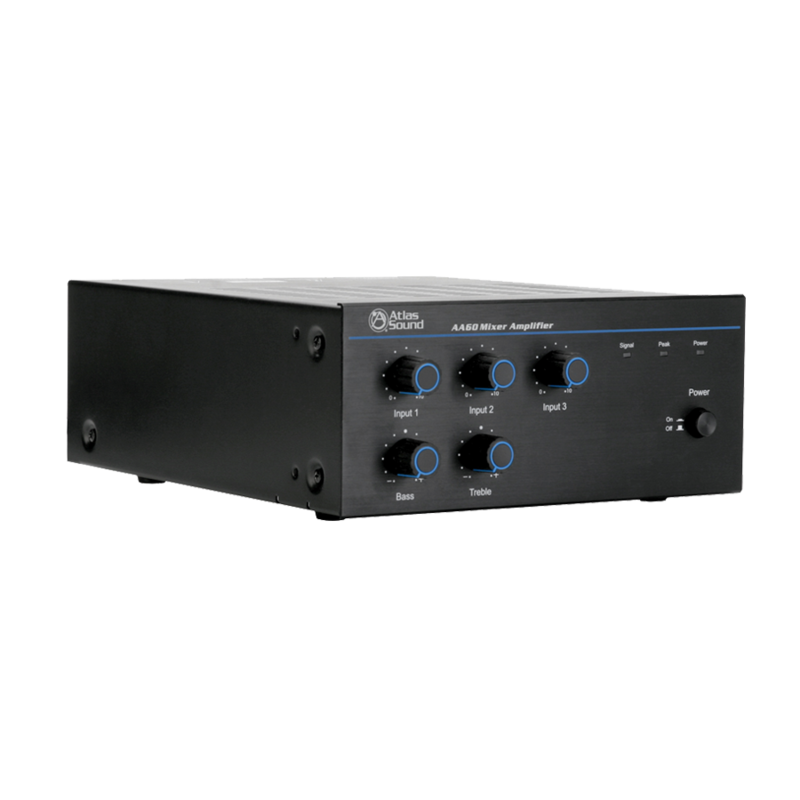 The AtlasIED AA60 is a 3 input channel mixer amplifier designed for distributed business paging and background music (BGM) systems, small to medium speech privacy systems, and in applications where music on hold (MOH) plus paging is required. 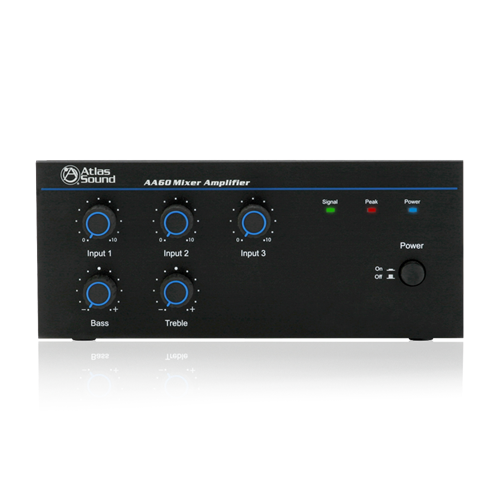 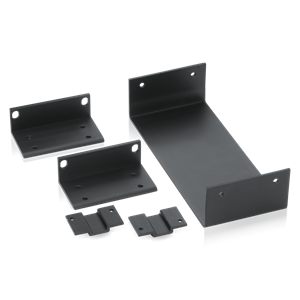 With (1) mic/line input and (2) stereo line inputs, the AA60 will accommodate a variety of input sources including paging microphones, CD players, and digital music receivers. 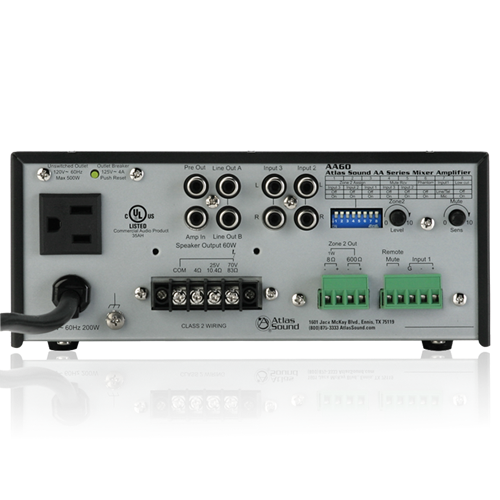 A dip switch selectable matrix allows the creation of a Zone 2 mix from any or all of the input sources for music or messaging on hold applications. 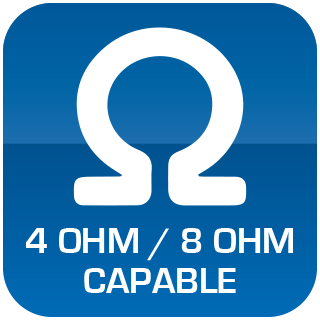 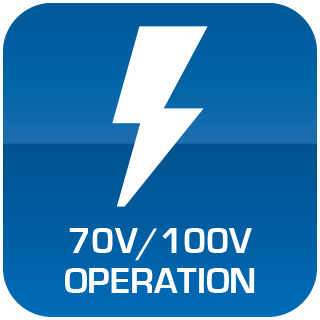 25V, 70.7V, and 8Ω outputs are provided.